What Does U.S. Withdrawal From the Paris Climate Agreement Mean for Green Building? The 2015 United Nations Climate Change Conference in Paris brought together a worldwide delegation of scientists, energy and building executives, and government leaders. After years of false starts and failed negotiations, the consortium representing 196 nations forged a historic climate agreement to reduce greenhouse gas emissions and limit the rise of global temperatures. Less than two years later, President Donald Trump pulled the United States out of the Paris Agreement—at a time when threats of climate change are rising, as is the public’s awareness and concern. Elizabeth Beardsley, senior policy counsel for the US Green Building Council (USGBC), attended the 2015 Paris talks. 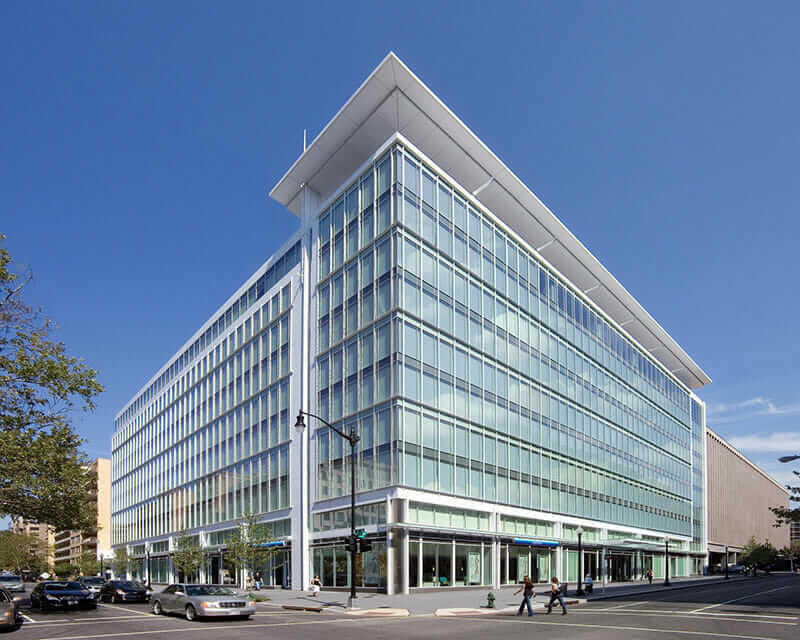 Beardsley says the withdrawal is decidedly unpopular among policy leaders at the USGBC, a professional organization with LEED certification programs and advocacy efforts aiming to lower energy use in buildings and reduce greenhouse gas emissions. The US Green Building Council headquarters in Washington, DC. Courtesy USGBC. Nevertheless, Beardsley and other industry policy leaders are confident that the US withdrawal will not slow investment in sustainable building, nor will it derail a robust private and municipal market for green technologies. “If anything, we have more business advocates and local government leaders coming to us on how they can leverage green building and other tools to increase their ability to meet the Paris goals,” Beardsley says. The residential and commercial building sectors constitute about 40 percent of total US energy consumption per year, according to a 2017 report from the Energy Information Administration, and the building industry as a whole is heavily invested in voluntary sustainability initiatives such as LEED and the Architecture 2030 Challenge. A 2015 economic impact study, prepared for the USGBC by Booz Allen Hamilton, shows that US green construction generated $167.4 billion in GDP from 2011 to 2014 and is projected to reach $303.5 billion from 2015 to 2018. These growth projections exist alongside an initiative, led by former New York City mayor Michael Bloomberg, bringing together representatives of US cities, states, and companies to submit a plan to the United Nations committing to renewable-energy and rapid-transit initiatives to keep the United States within the Paris targets. Meanwhile, Beardsley says, the USGBC continues to push for improved building efficiency and performance. More than a third of the points attainable for the latest USGBC green-building performance standard, LEED v4, are distributed to reward climate-change mitigation strategies. USGBC’s sister organization, Green Business Certification Inc. (GBCI)—in partnership with the World Bank, the World Resources Institute, and International Council for Local Environmental Initiatives (ICLEI)—is scaling a professional certification and training program for residential greenhouse-gas-emissions specialists. And the new digital platform Arc allows any project, whether a single building or an entire city, to measure its performance against projects around it. 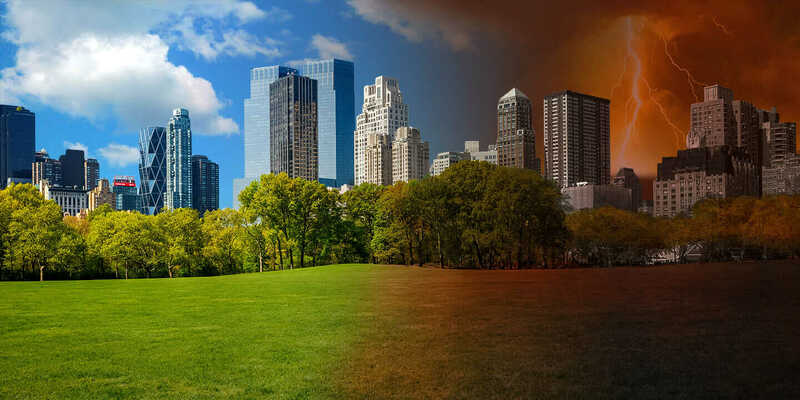 The platform, Beardsley says, will help owners of less-efficient buildings and developers of newer, higher-performing models, alike, measure performance and make continuous progress on carbon emissions from energy and transportation, water impacts, and healthy spaces. The International Living Future Institute runs the Living Building Challenge performance standard. 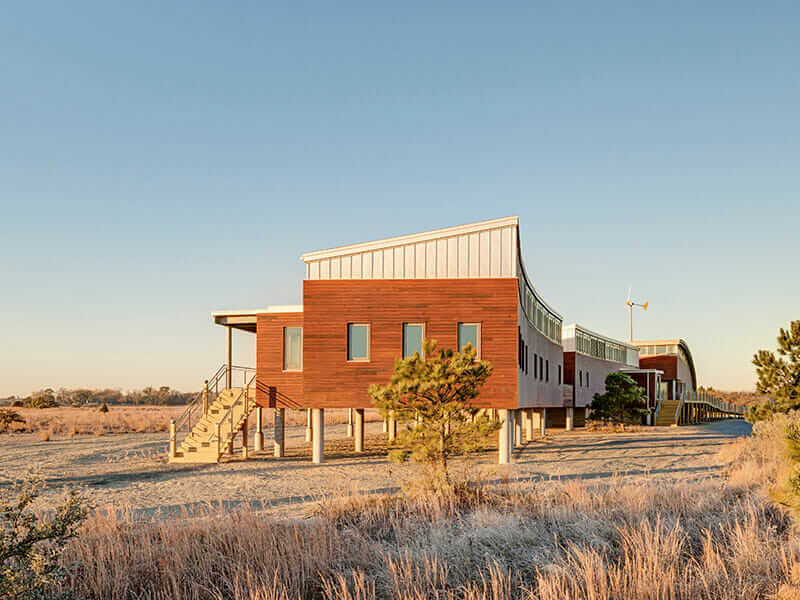 The Brock Environmental Center in Virginia Beach, Virginia, is Certified Living. Courtesy ILFI. Trump’s own participation record in the USGBC’s LEED certification program as a real-estate developer raises additional questions about the role of federal policy guidelines in driving energy-efficient building practices. 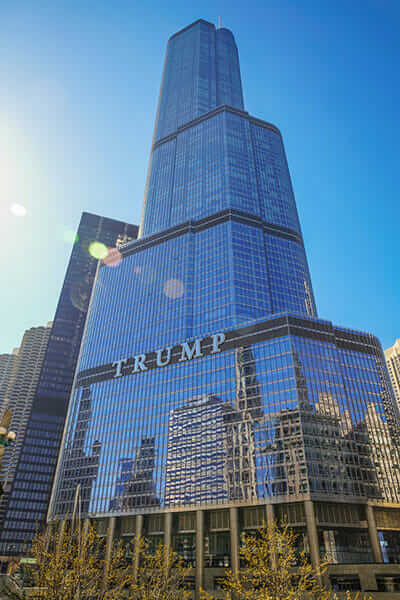 According to a report of the Kendeda Fund, only a single unit in one of more than 50 buildings owned by the Trump Organization or licensed to use the Trump name is publicly listed by USGBC as a candidate for LEED. That unit, 62C in Trump International Hotel & Tower Chicago, is seeking certification under LEED’s Interior Design and Construction standard. Just a single unit in Trump’s real-estate empire, in Trump International Hotel & Tower Chicago, is seeking LEED certification. Regardless, the US withdrawal is not likely to alter the energy use and emissions goals of other participating countries, such as China, Brazil, and India, which are expected to be centers of green infrastructure growth in the coming decade. According to a Dodge Data & Analytics report, China is, behind the United States, the largest adopter of LEED by area, with 34.62 million gross square meters of certified LEED space. Global green building is expected to double in China every three years. In many ways, the Paris Agreement is a work in progress, an aspirational pact to strengthen commitments over time. The first round of Paris Agreement pledges would substantially exceed the accord’s long-term temperature targets. But these targets would still be exceedingly dangerous to human life on much of the planet, says Camilo Mora, a scientist at the University of Hawaii and lead author of a study published in the journal Nature Climate Change. His team’s review of 30,000 scientific papers found that since 1980, more than 2,000 heat waves have resulted in heat-related deaths. Today, Mora says, 30 percent of the human population lives in areas that exceed this heat index at least 20 days each year.